The original (dual-core) Meizu MX is one of the most popular smartphones in China. Shortly after the launch there, it was quietly made available around the world from various retailers. 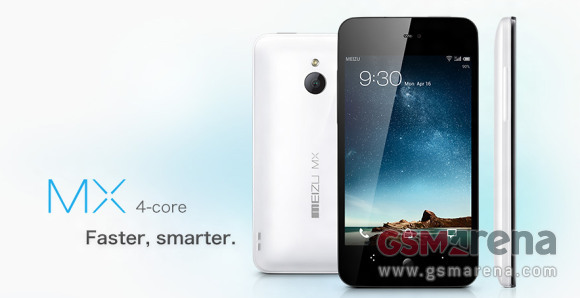 Later, after the huge success of the MX, Meizu announced a quad-core version – the MX 4-core. Well, the quad-core model is now selling globally as well. Unfortunately it costs north of $650 for the 32GB version, which seems a bit steep compared to the Chinese price of CNY2999 ($470). And if you want the 64GB model, prepare to part with another $100 (there is no 16GB version). Not that the other quad core smartphones cost much less, but one would expect Meizu to offer more attractive pricing than the established smartphone players. We do believe the international price will drop a bit after a few weeks, though, so maybe not all is lost. We already got the Meizu MX 4-core in our office and the review is in the works. You can check its first benchmark results and how those stacks up against the other members of the quad-core gang right here. Can anyone tell me from where to purchase this mobile in bangladesh??? im here in the philippines..is this phone meizu mx4 available here in the philippines?? where can i buy it?? ?